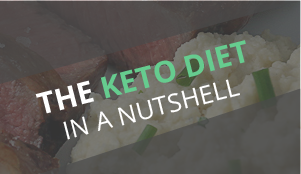 This Keto Cookies and Crème ice cream recipe is the perfect combination of creamy and crunchy. Even after hours in the freezer, it still remains temptingly creamy and requires very little time to soften before serving. While this ice cream is super addictive, it’s so rich and filling that it really doesn’t take much to satisfy you. 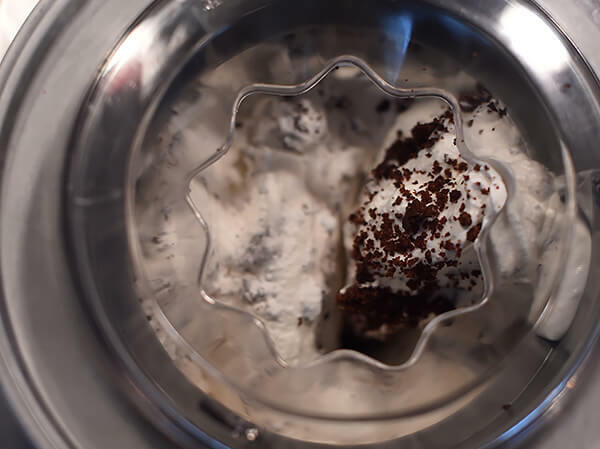 If you want to achieve a soft-serve ice cream consistency, then you can serve the ice cream directly from the machine for ultimate creaminess. 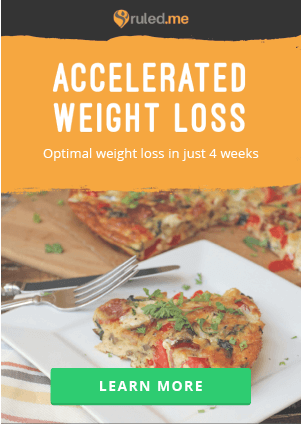 If you prefer a firmer consistency, the optimal time to indulge is once the ice cream has had at least 3 hours in the freezer. 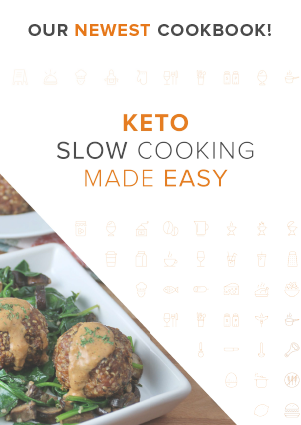 I just love how adjustable this recipe is! I’ve even added extra almond milk and reduced the time in the machine to create milkshakes instead of ice cream! To top it off, I’ll often serve this ice cream with a drizzle of melted stevia-sweetened chocolate. As the chocolate cools, it begins to solidify and leave a delicate chocolate shell behind. 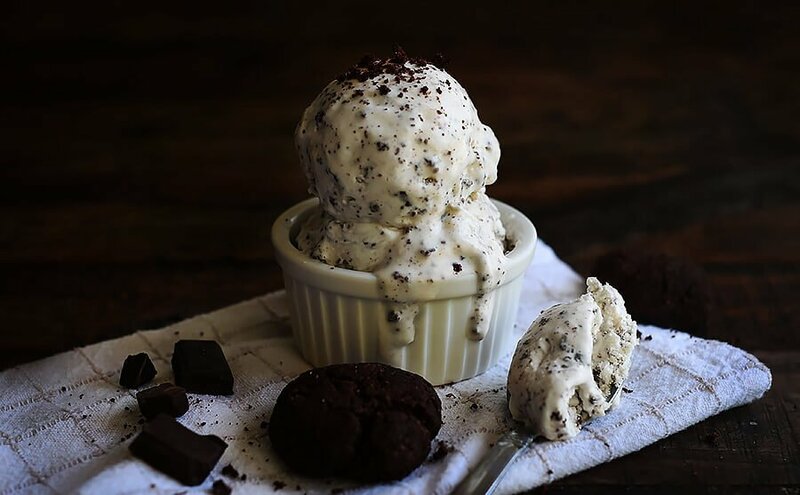 This ice cream is also delicious when paired with chocolate cookies! 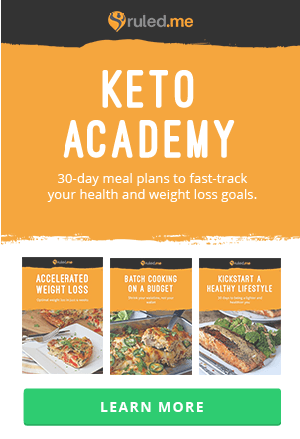 To easily make keto chocolate cookies to go along with the ice cream, simply double the recipe for the cookie crumbs. Use half the dough as directed by the recipe for the ice cream. Then, using the other half of the dough, shape tablespoon amounts into small cookies. Place them on a parchment paper lined cookie sheet. I’ve found they take about the same time to bake as the dough for the cookie crumbs. Voila! Super easy and rich chocolate cookies! 1. Preheat oven to 300F. Line 9 inch circular cake pan with parchment paper and spray with oil of choice. 2. 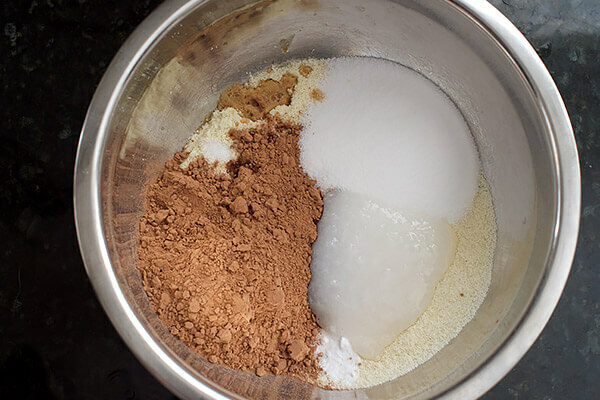 Sift the almond flour, cocoa powder, baking soda, erythritol, and salt into a medium bowl and then whisk until smooth. 3. Add the vanilla extract and coconut oil and mix until batter forms into fine crumbs. 4. Add the egg and blend until cookie batter begins to stick together and form a ball. 5. Transfer the batter into prepared cake pan and press out batter thinly with your fingers until it evenly covers the bottom of the pan. 6. Place pan in preheated oven and bake for 20 minutes or until center of cookie bounces back when pressed. 7. When finished baking, remove pan from oven and let cool. 8. Once the cookie has cooled, break the cookie into small crumbles. 9. 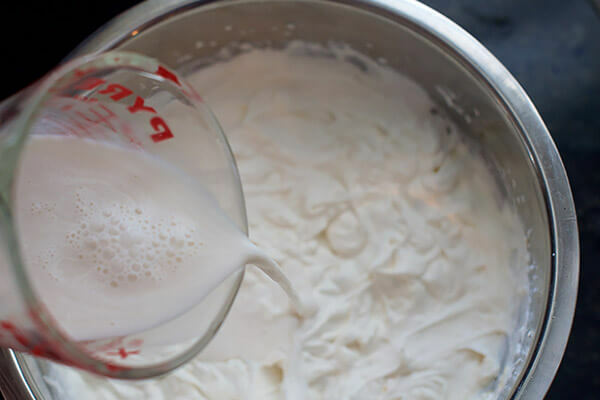 In a large bowl, blend the whipping cream with an electric mixer until stiff peaks form. 10. Add vanilla extract and erythritol, and whip until thoroughly combined. 11. Pour in almond milk and blend mixture until it re-thickens. 12. 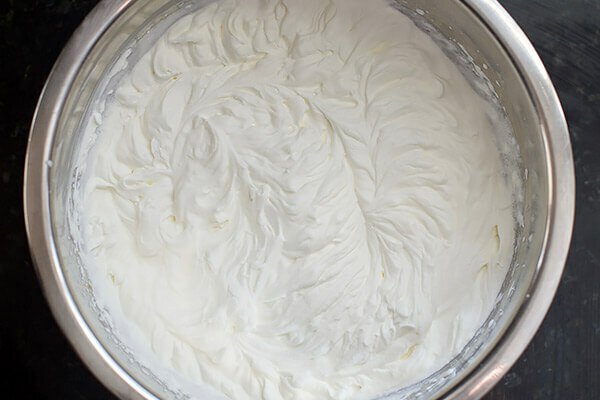 Transfer cream mixture to ice cream maker and churn until ice cream begins to hold its shape. 13. Gradually pour the cookie crumbles in while the ice cream maker is churning to evenly mix the crumbles into the ice cream. 14. 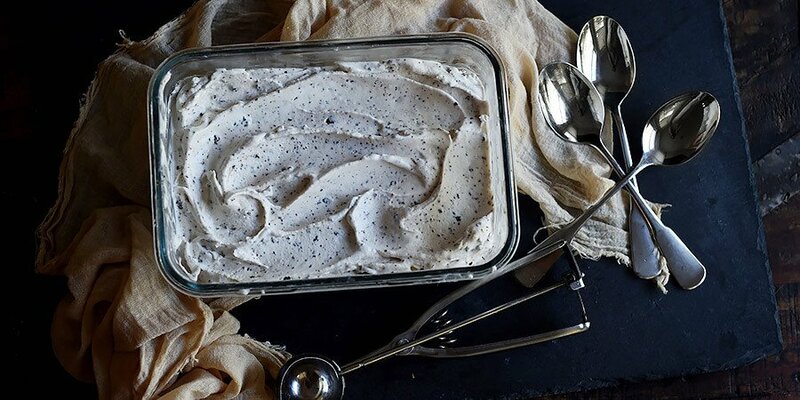 Once all of the cookie crumbles are incorporated, transfer the ice cream into a ½ gallon freezer-safe container and freeze for at least 2 hours before serving. 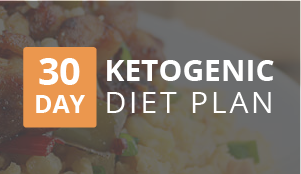 This makes a total of 10 servings Keto Cookies and Crème Ice Cream. 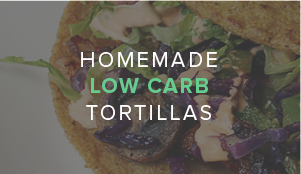 Each serving comes out to be 289.9 Calories, 28.9g Fats, 3g Net Carbs, and 4.6g Protein. Preheat oven to 300°F. 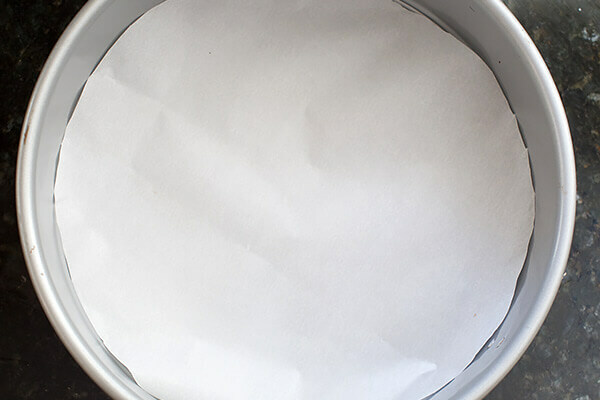 Line 9 inch circular cake pan with parchment paper and spray with oil of choice. 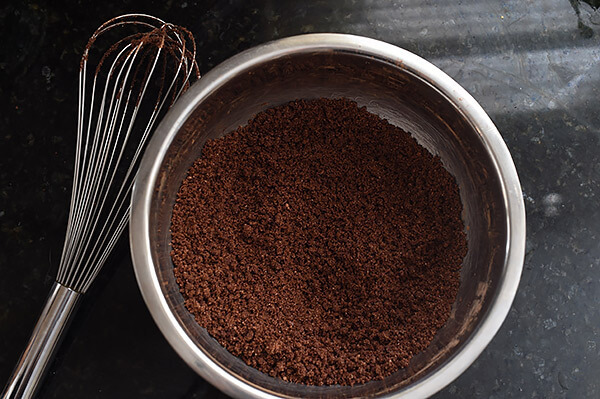 Sift the almond flour, cocoa powder, baking soda, erythritol, and salt into a medium bowl and then whisk until smooth. 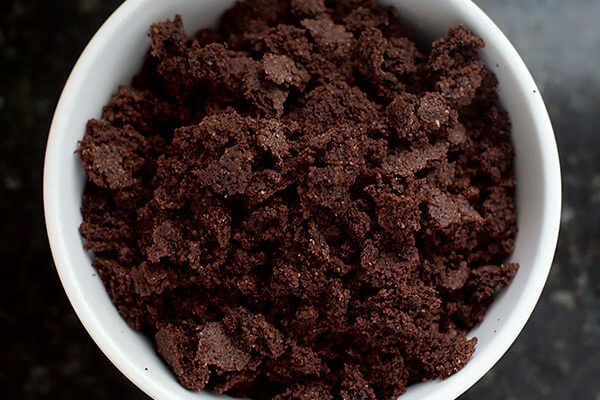 Add the vanilla extract and coconut oil and mix until batter forms into fine crumbs. 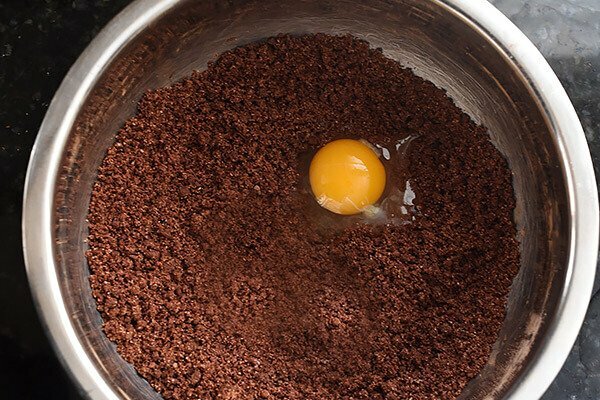 Add the egg and blend until cookie batter begins to stick together and form a ball. 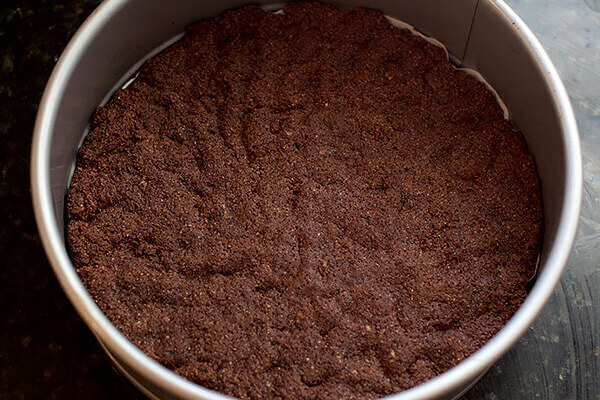 Transfer the batter into prepared cake pan and press out batter thinly with your fingers until it evenly covers the bottom of the pan. Place pan in preheated oven and bake for 20 minutes or until center of cookie bounces back when pressed. When finished baking, remove pan from oven and let cool. Once the cookie has cooled, break the cookie into small crumbles. 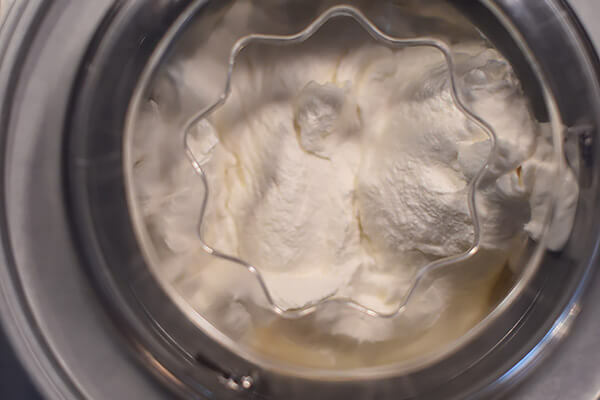 In a large bowl, blend the whipping cream with an electric mixer until stiff peaks form. Add vanilla extract and erythritol, and whip until thoroughly combined. 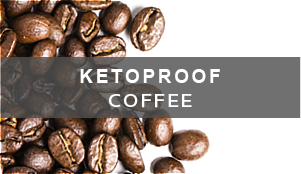 Pour in almond milk and blend mixture until it re-thickens. 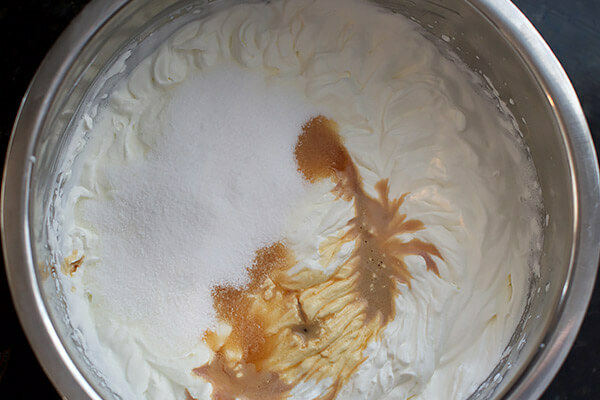 Transfer cream mixture to ice cream maker and churn until ice cream begins to hold its shape. Gradually pour the cookie crumbles in while the ice cream maker is churning to evenly mix the crumbles into the ice cream. 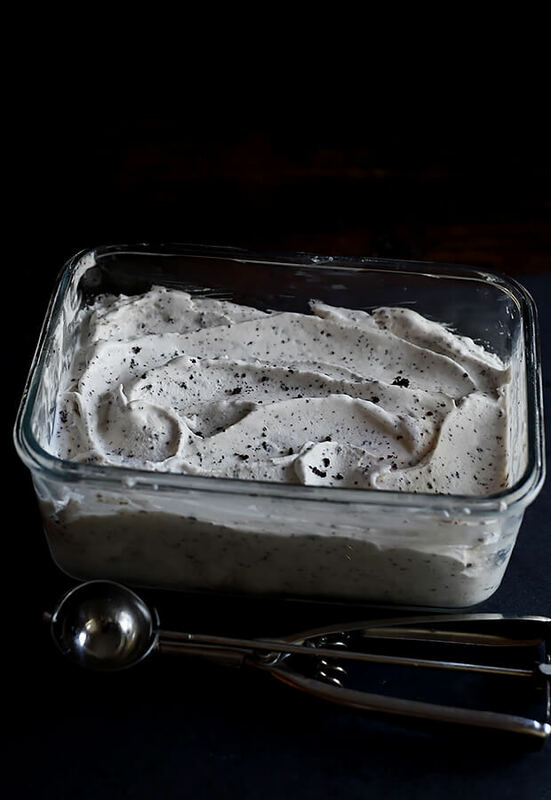 Once all of the cookie crumbles are incorporated, transfer the ice cream into a ½ gallon freezer-safe container and freeze for at least 2 hours before serving.